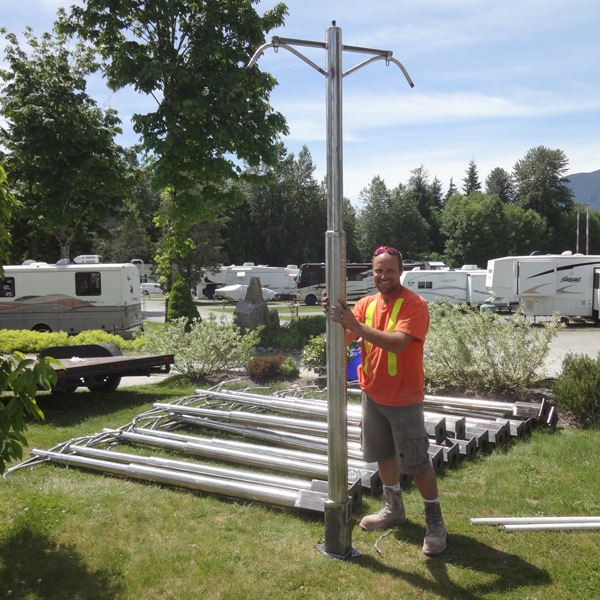 Yesterday we delivered the load of light posts to WhistlePunk Hollow. While we were there I did a site inspection and was delighted with everything that I saw. Each feature looked like it belonged, as they had carefully poured the concrete around the low parts. The carpet folks were there starting to measure up and install some of the greens. Many of the trees have been planted and each day it looks more like a golf. 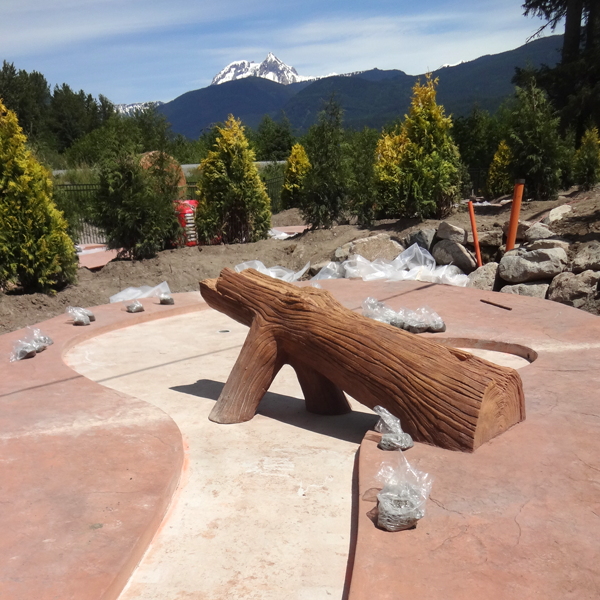 Next week we'll be on-site for a few days doing the last of the sculpted concrete. 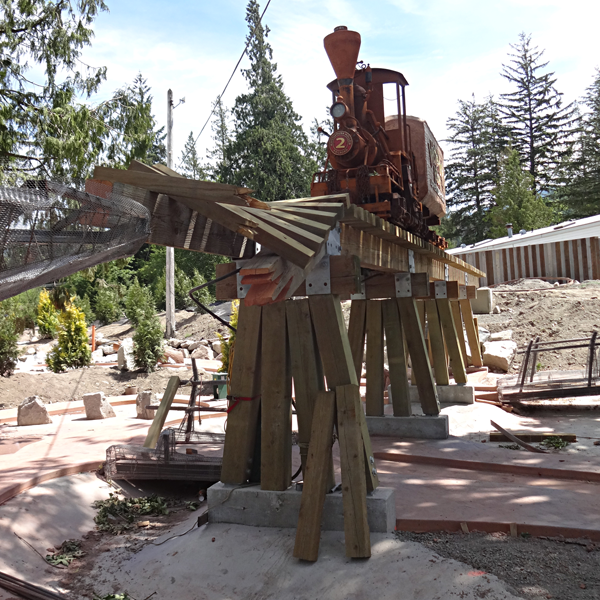 Jeff had finished building the trestle with the front end of it dangling precariously from what will be the giant rock. He had skillfully used his chainsaw to cut the timber and ties to look like they had been broken in the giant rock fall that had trapped the ancient locomotive in it's precarious position, high on the trestle. Next week we'll be on-site for a few days doing the last of the sculpted concrete. I look forward to spending a few days there with my crew as we button this project up.